NPC Global utilizes domestic and overseas laboratories for the purpose of analyzing a product content, strength, capabilities, comparison to samples, competitive analysis and equivalent offerings. Many times customers and prospects ask for quotes on a specific item specification and get a wide variance of prices. If your quote is +/- 10% or more we know that we’re not quoting the same product. In-house evaluation and/or laboratory analysis will uncover any discrepancies between actual product specifications or samples and what the customer believes they are currently using. For example, a potential customer requests a quote for 20 inch x 6000 foot 80 gauge stretch film. The current price is $35.00 per roll while our quote is $40.25 per roll which is 15% more than they are currently paying. Since NPC Global's pricing is very aggressive and always competitive, we assume we must not be quoting the same item. With a sample roll, our laboratory analysis finds that the stretch film the customer believes to be 80 gauge is actually 65 gauge and the footage is actually 5000 feet in length not the 6000 feet as stated. Our competitive quote for 65 gauge, 5000 foot length, would be $33.50 which amounts to a savings of $1.50 per roll. 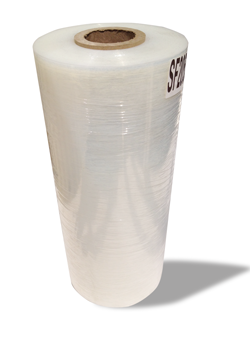 Additionally, we bring in our stretch expert who does on-site load analysis testing and can now recommend a lower gauge high performance film that provides superior performance and additional savings. Laboratory analysis, testing and certification can uncover product quality issues and provide material analysis that can clearly outline pricing alternatives. This helps to ensure the right product is provided for the required job. If a product is not performing properly and failing for some reason, laboratory analysis can typically uncover where and why the failure is occurring. Once again, knowledge, understanding and providing options ensure your packaging spend is providing the strongest ROI and customer satisfaction. It’s not just the price that counts in some cases. The right product for the right job is what should determine your choice of product and supply partner. NPC Global generally provides the best overall offering of product, price and service when given the opportunity to provide a quote on a product. Our ability to suggest alternative products, provide product analysis, suggest a stock release program and/or vendor managed inventory will help to increase your ROI and bottom line.